Form fitted for added dexterity. Ring-Cut feature allows them to be converted to framers gloves. Syntrex synthetic palm material provides increased abrasion resistance and padded protection. Stretch-Fit thumb feature and spandex back combine for greater flexibility and a towel strip on the thumb back can be used to gently remove sweat or debris from the face. 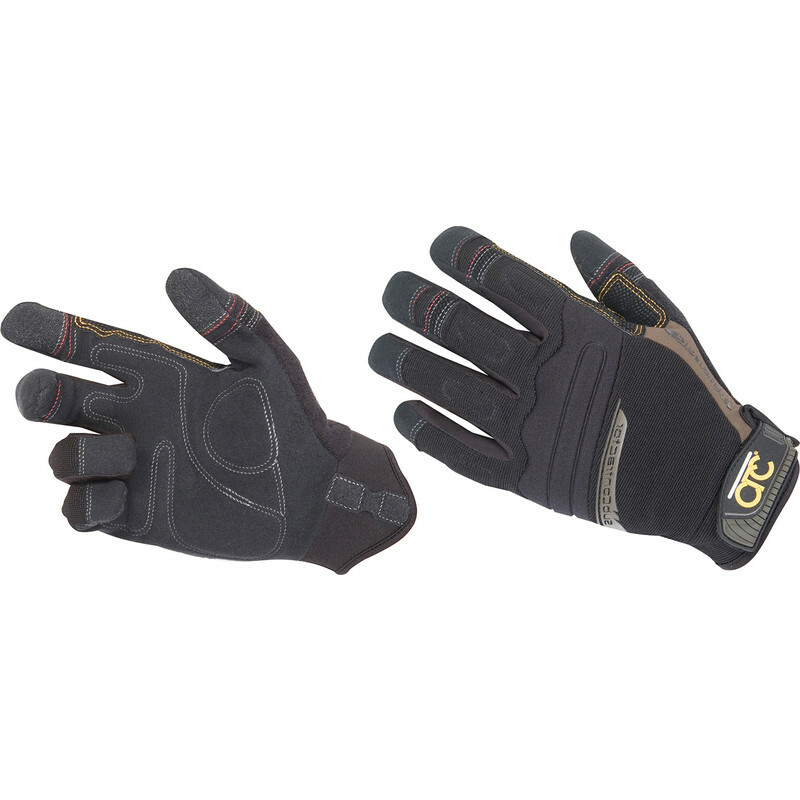 CLC Contractor Flex Grip Gloves X Large is rated 4.7 out of 5 by 3. Rated 5 out of 5 by featherlight and lotus from comfortable and easy to work in Bought these before and worked them thin for several years. very glad i could find them again. Rated 4 out of 5 by Barnowljenx from Ideal gloves for gardening I already had a pair of these gloves bought for another purpose but they proved ideal for gardening and weeding in particular. However, as they are wearing out I bought a new pair.